UPDATED: Thu., Jan. 31, 2019, 10:51 p.m.
OLYMPIA – New studded tires would carry a $100 fee if purchased after July 1 of this year and be banned after mid-2025 under a proposal being considered by the House Transportation Committee. The proposal, which would replace the current $5 fee and eventually phase out studded tires, would raise an estimated $3.5 million over the next two years. But that wouldn’t make up for the estimated damage to state roads that a state Department of Transportation study puts at $20 million or more a year. The bill would allow drivers who prefer studded tires to other options on the market to use them until July 2025, phasing out tires they have. But the state should raise the fee for new tires, Ryu said, and collect a total of $400 for four new tires. “That is just a tiny little drop in the bucket toward the damage they are causing,” she said. But $400 is “real money for people on a fixed income,” Mark Johnson of the Washington Retailers Association said. 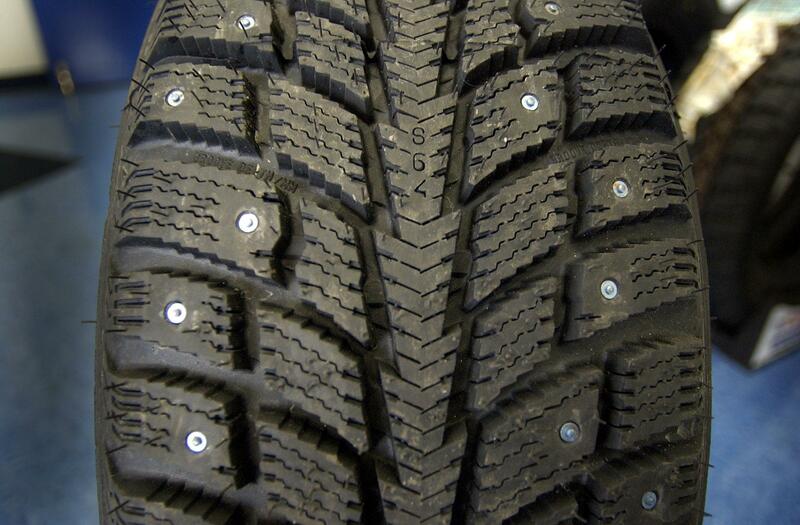 Paul Parker of the state Transportation Department said four states in the Midwest – Minnesota, Michigan, Wisconsin and Illinois – have banned studded tires, as the Federal Highway Administration recommends. Rep. Morgan Irwin, R-Enumclaw, asked if any of those states have a mountain range like the Cascades or parts of the Rockies running through them. “Not the last time I looked,” Parker said. Rep. Ed Orcutt, R-Kalama, asked if the department had studied the effect on tire businesses in Washington if residents drive to Idaho or Oregon to buy their studded tires. Parker said it hasn’t. Pat Dunn, another Les Schwab spokesman, said the problem with studded tires may be solving itself as drivers learn of more options. They are used by less than 2 percent of drivers statewide, and that’s falling even in the Spokane area, which usually has the heaviest use of studded tires. The committee will decide if it will vote in the coming weeks on whether to send the proposal to the full House. Published: Jan. 31, 2019, 6:37 p.m. Updated: Jan. 31, 2019, 10:51 p.m.